The US government accidentally copied and pasted information from sealed documents indicating that they have already charged Julian Assange for his journalism. (ZH) — Update: The ACLU has published a statement declaring the US’s decision to prosecute Assange to be “unprecedented and unconstitutional”. Assuming he is charged, it’s still not clear whether Assange would wind up in a US courtroom to face trial. He has been living in the US embassy in London since 2012, fearing he would be arrested if he steps outside. 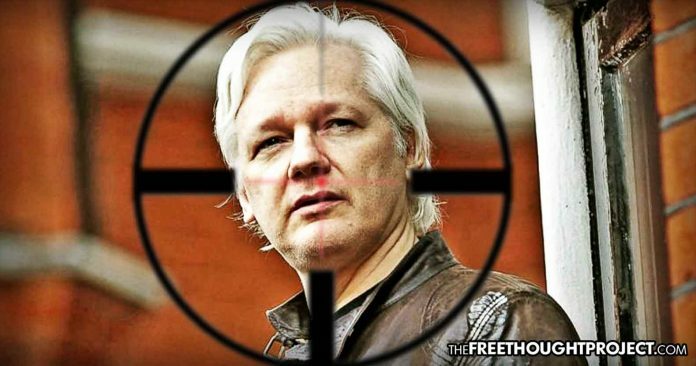 While the relationship between Assange and his Ecuadorian hosts had deteriorated significantly this year – he sued the government in an Ecuadorian court after the embassy cut off his Internet access and took other punitive measures reportedly in response to his slovenly habits and penchant for food-mooching. But he lost the suit, and is now appealing.